142 pages | 2 B/W Illus. The peoples of Taiwan have been influenced by many different cultures and migrations throughout the island’s history. In the 20th and early 21st centuries especially it has been a stage for cultural and ethnic conflict, not least because of the arrival of mainland Chinese fleeing the Chinese Communist Revolution. The subsequent tensions between those who see Taiwan as a natural territory of China and those who would prefer to see it remain independent have brought to the fore questions of what it is to be ‘Taiwanese’. 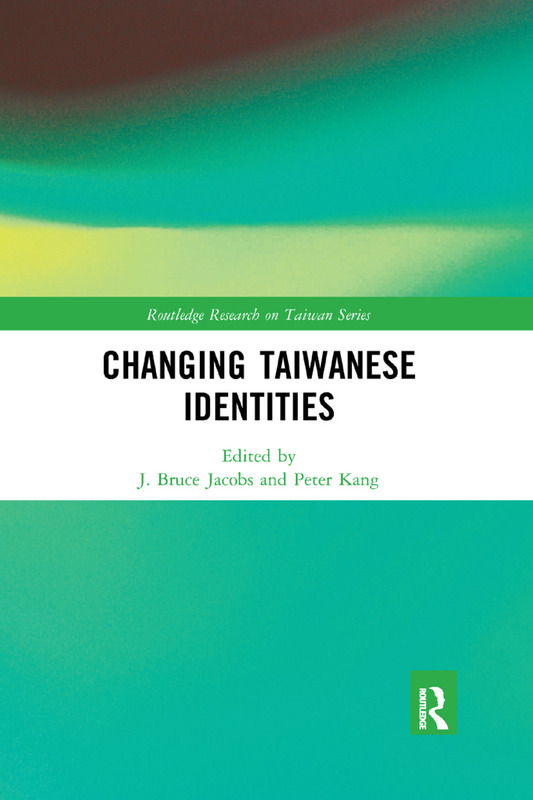 This book addresses the question of how Taiwanese identities have changed after the Taiwanization process which began in the 1990s. It also examines the impact of this process on cross-strait relations between Taiwan and the People's Republic of China after the return of the Kuomintang to power after 2008 and the Sunflower movement in 2014. The various contributors between them cover a range of topics including the waves of migration to Taiwan, changes of political regimes, generational differences and social movements. Taken as a whole, this book presents a nuanced picture of the patchwork of identities which exist in contemporary Taiwan. J. Bruce Jacobs is Emeritus Professor of Asian Languages and Studies at Monash University in Melbourne, Australia. His recent books on Taiwan include Local Politics in Rural Taiwan under Dictatorship and Democracy (Norwalk, CT: EastBridge, 2008), Democratizing Taiwan (Leiden and Boston: Brill, 2012), and The Kaohsiung Incident in Taiwan and Memoirs of a Foreign Big Beard (Leiden and Boston: Brill, 2016). He has also edited the four-volume Critical Readings on China-Taiwan Relations (Leiden and Boston: Brill, 2014). His current project is A History of Taiwan.